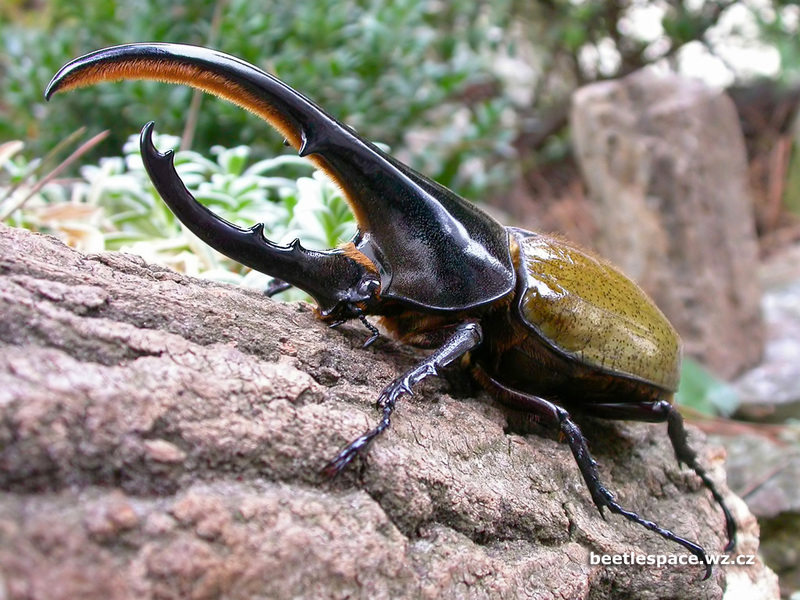 Today I want to write about a really large beetle, the Hercules beetle. These huge beetles grow up to 17 cm long, which includes their long horns. They are one of the largest beetles in the world. Only the males have horns, although the females have larger bodies. The horn of the Hercules beetle is used by males to fight with each other. The larvae stays in that stage for 1-2 years, boring through rooting wood and growing up to 11 cm long. Hercules beetles are found in the jungles of central and South America. Are there any other interesting facts that you would like to share about Hercules beetles? I love your blog ,it is so interesting and I love animals myself. I certainly did learn something today about a different animal. Loved learning about Hercules beetle! Thanks for sharing! They live in North Texas also! Grants Hercules also lives in Arizona.